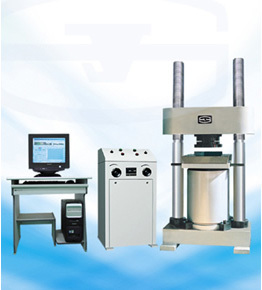 Used for various materials compression test such as cement, concrete, brick of diverse materials, rubber tray, concrete component, metal component anti-compress strength. This kind of machine consists of load frame, control cabinet, computer and printer etc. It uses hydraulic load, oil pressure transducer to measure load, manual control the testing process. PC screen display the test data and curve, with data storage and print function, the database file is convenient for user to use them by ACCESS and EXCEL.